Orange County Wedding Officiants -The Clergy Network Of Southern California- www.legallymarried.com: Wedding Professionals & Brides Shake Hands And Come Out Wedding Planning Readers! Help! Does Anyone Read Wedding Articles Anymore? 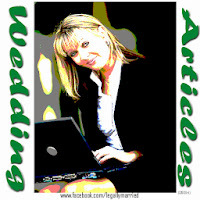 Wedding Professionals & Brides Shake Hands And Come Out Wedding Planning Readers! Help! Does Anyone Read Wedding Articles Anymore? what about the amount due back? The downed registered highlighted the fact, that the retail clerk didn’t know how to count the required change due at the end of the transaction! - She had never learned how to do this! This article is about something like this. If you don’t read this article, then you prove my point. And, if you do, perhaps we can talk about smartening up the wedding industry, and inspiring thoughtful brides through providing great wedding planning learning platforms via Internet. A cursory Internet review of keywords related to “wedding articles” left me briefly stunned. Mind you, an exhaustive or detailed survey could render a different yield. But, at present, the findings seem to suggest far more interest in wedding related reading amongst the English, Australian, Canadian and New Zealand peoples! Or, at the very least, even if not true, certainly, these countries' citizens seem more aggressive at bringing content to the top of search engine recognitions. Also, not a scientific experiment, certainly there are variables or exceptions to consider. Moreover, when coupling the above with anecdotal experience, I find cause to further wonder. If this generation’s American bride is not devoted to education through reading…. And, if the American wedding professional is not locked into professional growth through writing, discussing and reading.... then, how do they learn? Is it possible that American brides or their wedding professionals are not convinced about learning this way? Nor, that some of the most impressive and imperative learning comes from organized ideas and facts formed into word communications? 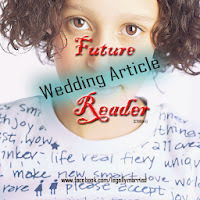 Moreover, we too even offered career wedding service providers and brides the opportunity to add to our articles, or help us write relevant ones. But, only a few takers! Don’t get me wrong, our articles are read. It is more the lack of participatory interest that is glaring! Collaboration is a wonderful way to accomplish many important goals through teamwork. And, if you are reading this article, I don’t need to tell you this. In fact, for those who have participated, thank you. Professionals, such as Wedding Manners expert, Maria Erdman and Healthy Bride Nutritionist Donna Schuller are a few of the exceptional experts who have collaborated with some fine article writing. With new articles scheduled for the future. For the American bride, is it really true that she just doesn’t want to learn in this way? Perhaps, she thinks a simple “Internet search” will make her a wedding expert! Or, is she just the product of a failed school system, which does not emphasize the basics, while, at the same time, ascribing a “god-like” self worth to her that leaves an unwitting bankruptcy? 1. We are wired to learn. So learn! 2. We find joy in learning. So be joyful! 3. We mature through discussion & thought. So grow & discuss! 4. We pass on good information to the next generation. So pass it on! 5. We avert mistakes, by learning from those who didn’t dodge them. So do it rightly! 6. We are exposed to things that we did not know. - Giving us new things to try. So, try something new! 7. We learn from experts, determining what is outside our reach, makes us wise consumers – This helps the non-expert to direct time and efforts and expectations accordingly. 8. It is a wedding professionals obligation to advise, and writing about their subject is a vehicle. So, advise! 9. It is a part of a bride’s wedding planning enjoyment. So, enjoy! 10. Generally, reading energizes critical thinking. Critical thinking is “valuable livings” advisory tool, medicine, and protector! 11. It encourages and develops creativity while participating in a planning endeavour. So, be creative! Let’s add more…. Your thoughts? There is a lot to learn that must be placed in print, so to speak. – Both for the one writing, and the one reading! Not to mention how amazing the wedding planning experience could be, if done in an educated manner. So, wedding professionals, how shall we teach them? How shall we learn without discussion and the important interpersonal communication of writing and reading? Brides, when planning a wedding, thinking about things is beneficial. And doing that through reading wedding articles or contributing to a written discussion can propagate a sort of “Wedding Planning Nirvana”. 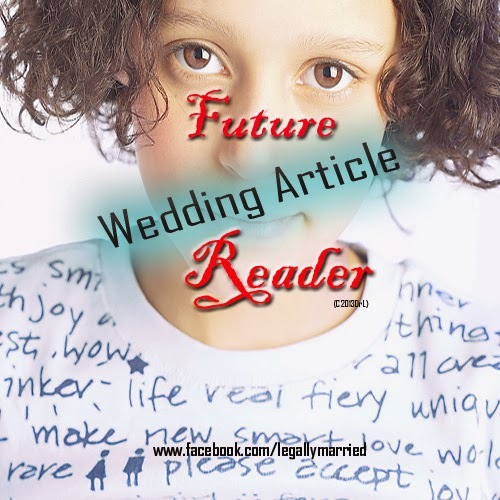 About This Article – Why aren’t they reading wedding articles? My article is not a rant, but, about an observation. It is about the potential loss of something valuable, both for the wedding professional and the wedding planning bride. Take time to write, read and discuss wedding articles, then share the joy of learning with others. Wedding professionals make the wedding industry what it could be through increasing knowledge and understanding, while honing your skill set. Through the reading of wedding articles, brides explore the wedding planning process by acquiring new ideas, facts and interests. Make the journey to the wedding aisle interesting and memorable. If not for any other reason, your first grade reading teacher would be proud! Use it or lose it! May We Write Your Marriage Ceremony or Wedding Vows?